Selling yourself? Why you need a techno-savvy Real Estate Professional more than ever! While the Internet has changed many aspects of society, some things remain the same. In fact, recent research suggests that more "For Sale By Owners," are turning to a Real Estate Professional to sell their home. A study released by the California Association of REALTORS®, January 2001, states that the number of "For Sale By Owners," who ultimately list their home with an agent has increased from 76 percent to 80 percent. 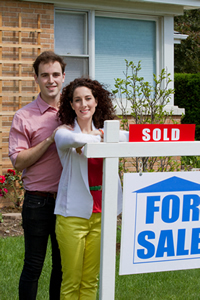 The reasons include a limited number of buyers, lower prices and inadequate information. Advertising on the web is often like looking for a "needle-in-the-haystack." A seller can place an ad on the web and try to distinguish their listing from thousands of others. However, without home page optimization, meta tags and other branding strategies that attract buyers, the For Sale By Owner listing is very ineffective. Access to buyers is limited. On some For Sale By Owner sites, some buyers are hesitant to provide contact information to a stranger. With a Real Estate Professional, a buyer identifies the homes they want to seek and then contacts a Real Estate Professional who shows them the homes they want to see - usually all within the same day.